We’ve all seen humans perform acrobatics, but how about robots? 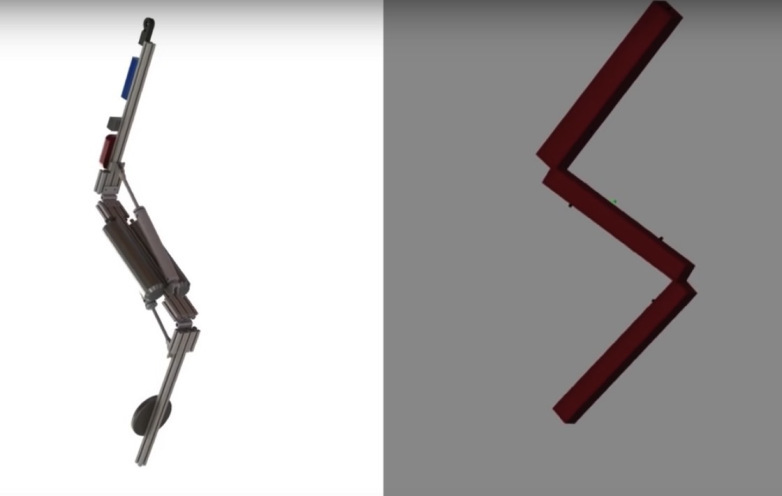 Disney’s new Stickman robot is literally a stick built to human scale, capable of throwing a backflip with ease. In the video below, Stickman swings from a ceiling-mounted wire 19.6 ft. above the ground, before folding itself into a ball midair and executing the stunt. The Disney Research goal of the Stickman is: “to approximate the height of a human stunt performer with arms raised over his or her head” — although it’s worth noting most gymnasts are nowhere near 7 ft. tall. Inertial motion sensing, laser rangefinders, and computer vision help the robot be a nifty acrobat.